Which is more important for weight loss – diet or exercise? Boxers or briefs? Chocolate or vanilla? Regular or decaf? These are many of the timeless controversies that has tormented humanity for the ages. Such a dialectic exists in the world of weight loss as well. Which should you focus on, diet or exercise, to be most successful in weight loss? Should you focus on the burning more at the gym or taking in less in the kitchen. Lift more or eat less? As with all such controversies, the answer usually lies somewhere in the middle. Rarely is life so binary. It is no different with weight loss. Both are equally important and must be addressed to be successful. With that said, it may be that more energy should be focused on diet for the initial phase of weight loss and then more energy focused on exercise for the maintenance phase. 1. It takes a lot more time to burn the calories than it does to take them in. As an example, it takes 30 minutes of light jogging to burn off about 350 calories. It takes 30 seconds to take that many calories in. This means that, in terms of time (but not will power) required, it is much more efficient to cut out calories than it is to burn them. The take home from this is that If you took that 30 minutes and planned your meals for the week you could probably decrease your calories and lose more weight more than if you used that 30 minutes for exercise. 2. Exercise of moderate or lower intensity leads to increased appetite. This can be from a direct impact on the appetite centers of the brain but also from the psychological games we play. We go to the gym and have a good workout and then snack away becasue we “earned it”. I have heard many people say that they exercise so they can eat whatever they want. This is not a good mentality if you want to lose weight. This is not to say that exercise is not important for weight loss. 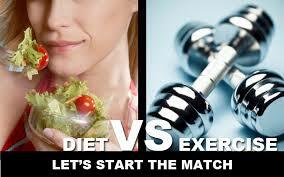 There is ample evidence that shows that diet plus exercise is superior to either one alone for weight loss. It is therefore my assertion that if you want to lose weight your focus should be on diet with exercise being an adjunct. Once you have lost the weight you can switch the focus but at no time should you completely ignore either of the two. This is not to mention the fact that there are libraries full of proof that exercise is good for just about every facet of your health and well being. As I often say, exercise helps just about everything – except for broken bones. In my opinion, exercise should be primary for maintaining the weight loss. This is not to say that once you reach your goal weight you can go back to eating the way you did before you lost the weight. If you do that you’ll gain the weight back. Some of the most compelling evidence for exercise being crucial in weight loss maintenance comes from the 2008 US National Weight Control Registry (NWCR). This database was established in 1993 to examine the characteristics of those who are successful at weight loss. It contains a huge cohort of individuals who were able to keep off at least 13.6kg (about 30 pounds) for at least a year. Those are just the minimum numbers. 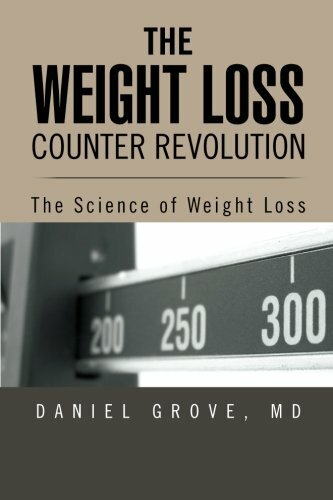 The average subject has lost 70 pounds and kept it off for six years! This is essentially a group of success stories. Almost 90% of these subjects used exercise as a part of their weight loss strategy. Those that exercised the most had the greatest weight loss prior to entering the registry, had lower BMIs at entry, and maintained a greater weight loss over the period being studied (about nine pounds more). In other words, this study shows that if you want to lose weight and keep it off, you must exercise. Further, the more you exercise, the more you lose and the better you maintain the weight loss. The bottom line is that you need both diet and exercise to successfully lose weight. You may tweak your focus depending on where you are on the road to your goals, but the overarching principle is the same. It’s not boxers vs. briefs, chocolate vs. vanilla, or decaf vs. regular; Its boxer briefs, chocolate-vanilla swirl, and half-caf. Dugas LR, Harders R. Et al. Energy expenditure in adults living in developing compared with industrialized countries: a meta-analysis of doubly labeled water studies. Am J Clin Nutr February 2011vol. 93 no. 2 427-441. Cook CM, Schoeller DA. Physical activity and weight control: conflicting findings. Curr Opin Clin Nutr Metab Care. 2011 Sep;14(5):419-24. Jakicic J, Clark K, Coleman E, al e. Appropriate intervention strategies for weight loss and prevention of weight regain for adults. American College of Sports Medicine Position Stand. Medicine and Science in Sports and Exercise 2001;33:2145-56. Saris W, Blair S, vanBaak M, al e. How much physical activity is enough to prevent unhealthy weight gain? Outcome of the IASO 1st Stock Conference and consensus statement. . Obesity Reviews 2003;4:101-14. ← A low cost weight loss program with proven results! Thank you for this short and helpful article on Weight loss diet and exercise. I have used some of its information as the reference to complete this post on 5 best CrossFit diet plans on my blog.